Shabby chic, vintage, distressed looks are all styles that are bang on trend for our homes with “Live Love Laugh” being a known phrase hollering across our living rooms, kitchens and bedrooms. Here are our tips on how to create this stylish look in your Kitchen on a budget. Reclamation yards will be your new favourite place to visit as well as charity shops, car boots or even websites like Freecycle, eBay, Gumtree and Facebook Marketplace. There is so much up for grabs at a reasonable price, sometimes even free, just be prepared to haggle and to do some refurbishment work on it. You can find all sorts of goodies like kitchen cabinets, timber to make kitchen worktops, lighting, tables, chairs and even sinks. If you don’t know where to start, perhaps search Google for reclamation yards in your local area and see what is available to view online before heading out on foot if you prefer to browse at home first. Otherwise, why not search for you nearest car boot sale? There is usually something for everyone at these and more often than not, some great hidden gems. Have a good rummage wherever you visit, you never know what you may find. 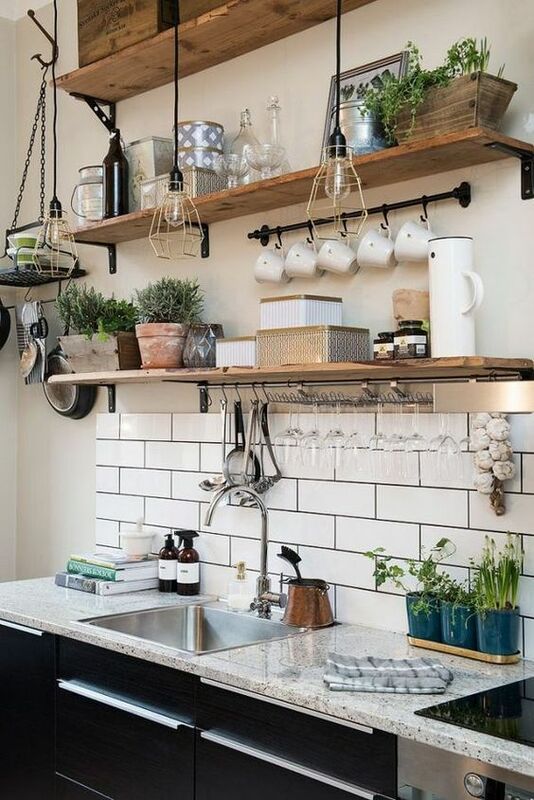 I am by no means a professional DIYer, although I do try my hand at it every now and then, so let’s see how we can create this rustic yet modern kitchen? 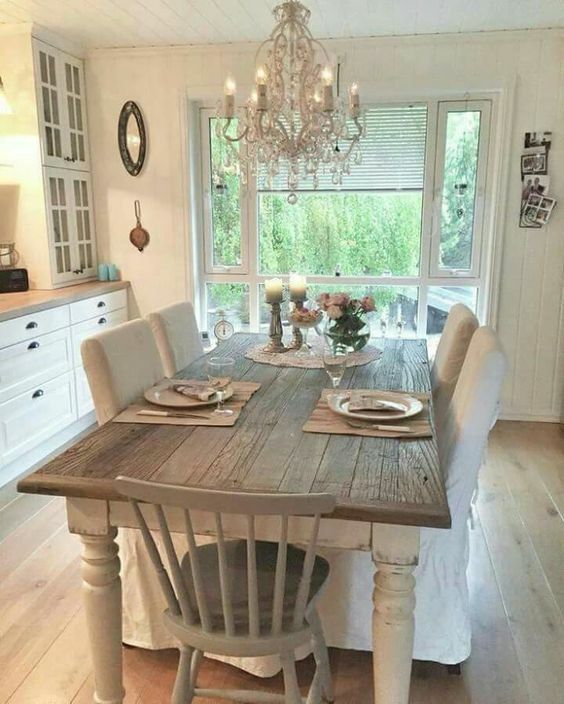 If you are going for wooden furniture and fittings, it is quite simple to upcycle old tables and chairs. They just need a bit of TLC, a good sanding and two thin coats of water-based paint. 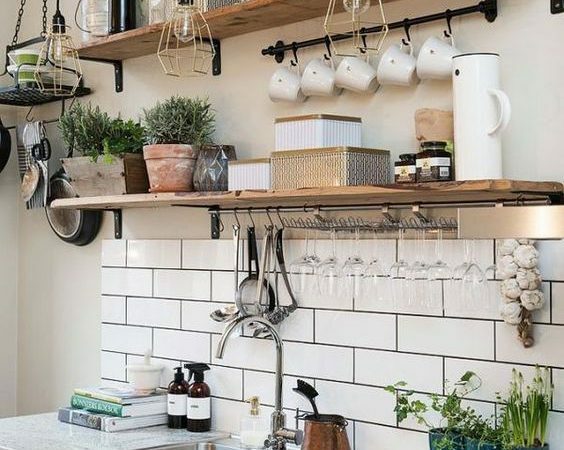 Shabby chic is finding alternative uses for products, like turning a door into a kitchen worktop or turning empty wooden crates into shelves, or refurbishing items to be used once again. To get a true shabby chic appearance for your wooden furniture choose two different colours for the two layers of paint such as a grey covered with white or for statement furniture, try a pink bottom coat and a deep blue top coat. 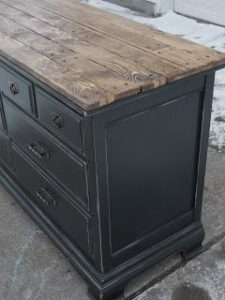 Once you have sanded the furniture and the first layer of paint is dry, apply wax with an artists’ paint brush or a chop stick to areas of the furniture you want to look distressed. When you apply the second layer you will notice the paint doesn’t stick to the waxed areas. This is what gives it the shabby chic look. When the second layer is dry, wipe down the areas you waxed after layer one. This will reveal the base colour and you will have a shabby looking piece of furniture (in a good way obviously). Alternatively, you could just wax areas of the wood you’d like visible and then paint it. Then when you rub the waxed areas down, it will reveal the original wood beneath. You can apply this technique to all sorts of furniture, from kitchen cupboards to worktops and it looks great in any room. Beds, bedside cabinets, desks, shelves, picture frames – the options are endless. The modern chic kitchen pictured above has incorporated stainless steel with the oven and accessories, but I think you could lose the clinical and futuristic steel to have something more old school if you’d prefer. A quick search online and you can find some bargain ovens that would look great in this particular kitchen. I love mixing a traditional kitchen with high tech appliances so I wouldn’t want a cheap oven (sorry to be a snob). I am besotted with the Rangemaster ovens, they are sleek, classic and they’d look divine in this kitchen. They also have all of the mod cons of a new age oven. Which is better a modern or traditional kitchen? We had the debate here (link to High tech vs modern kitchen). For the kitchen appliances you may not want to up-cycle or buy second hand goods, however this doesn’t mean there aren’t deals to discover on appliances that look a retro. 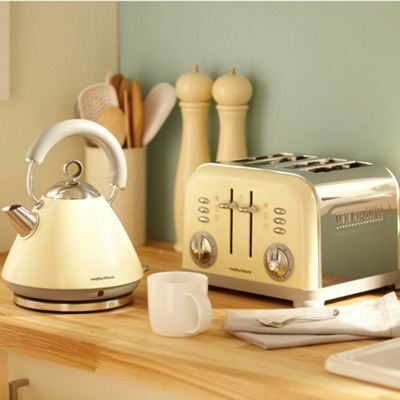 Next, Dunelm, Very and Argos all have a reasonably priced range of chic kettles, toasters and microwaves. These appliances are ideal for adding a burst of colour into the room too. If you really want to go shabby chic, you could go as far as making your own lighting! 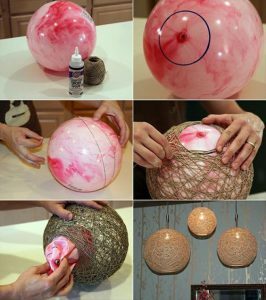 There are some great ideas on Pinterest to create beautiful handmade lights using cheap and basic equipment; such as twine lights that require PVA glue, a balloon, and some twine string to create the most rustic look. When looking for accessories it’s time to become a bargain hunter again going to car boots and salvage yards as they are a great place to pick up some cheap and quirky accessories for your home. Vintage signage, vases, ornaments, candle stick holders and fruit bowls are often readily available at these places, and would look particularly stylish gathered around your kitchen windows. Yes, they are actually pretty easy to get hold of on the cheap. Websites such as preloved.co.uk, freecycle.org or eBay have a variety of old sinks to be had at good prices. Some may need a bit of a scrub, but it could save you hundreds of pounds. Again our featured chic and modern kitchen has a matching stainless steel sink, however, if you decide stainless steel isn’t your cup of tea, a traditional ceramic sink is always a safe bet. 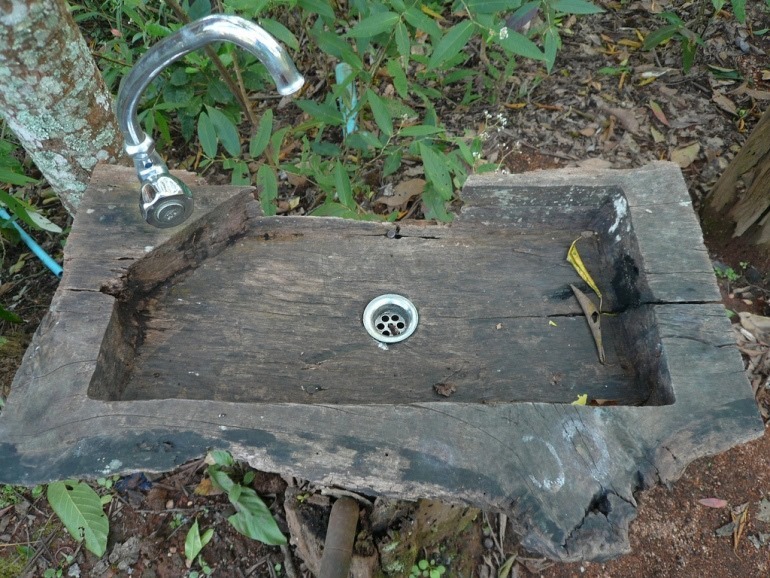 Alternatively, you could get creative and try to build a sink like this (obviously apply proper wood treatment etc to prevent it leaking). When shopping for a new kitchen with a tight budget, having a look in places other people may not means you may find an absolute gem. Salvage yards, car boots and charity shops may not be the most glamorous, but they can definitely create a beautiful shabby chic room at a good price. If you are on a strict budget and looking to renovate your kitchen, this article will help you come to a decision. 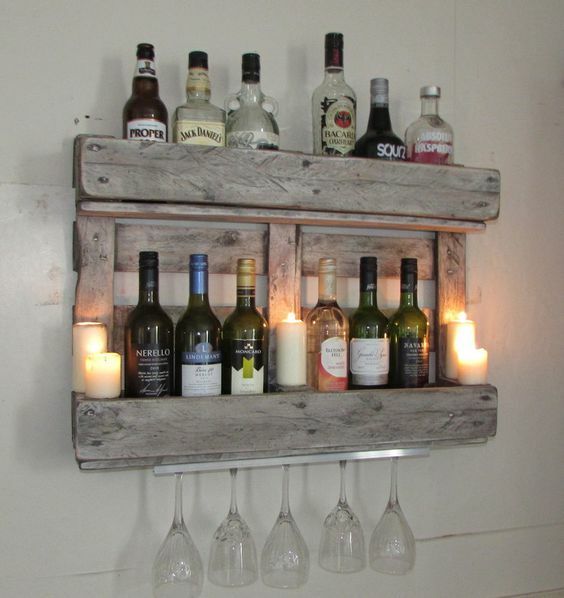 Good luck on your renovation projects, up-cycling and crafting your own accessories!